Ginza×CSR・CSV Vol.21 Kuipo Co., Ltd. The 21st part in the GINZA×CSR series introduces Genten, a lifestyle brand centered on leather handbags. 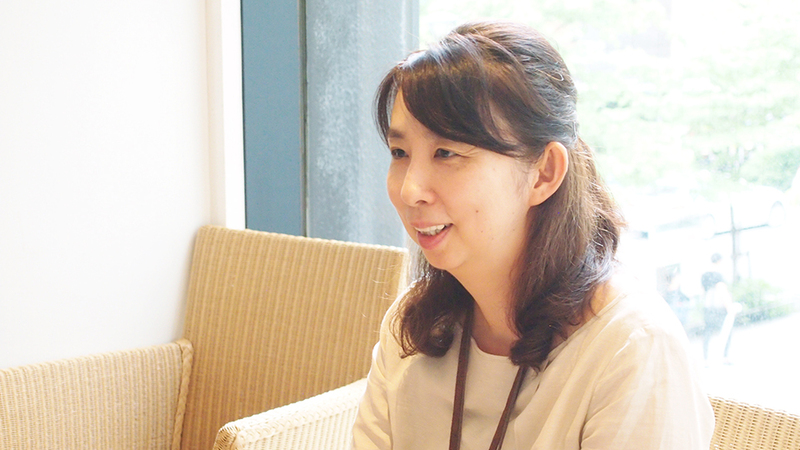 We spoke with Ikumi Okada, General Manager of the MD General Headquarters, about the three basic principles of Genten: care for the environment, cherishing limited resources, and striving for craftsmanship that inspires a lasting emotional attachment. – This year is Kuipo’s 50th anniversary. What sentiments has the company valued since its foundation? Kuipo maintains a corporate philosophy of, “Love nature, love people, and seek romance.” The desire of the present Chairman and founder of the company to cherish the connection between nature and humans and treasure traditional culture has continued to be reflected in our business activities throughout the company’s history. – It feels as though Genten in particular is a brand that embodies that corporate philosophy. Kuipo conducts licensing business for numerous brands such as Lanvin and Anna Sui, but it is difficult to directly reflect Kuipo’s own corporate philosophy in that type of business format. For this reason, we launched our own brand that achieves craftsmanship that inspires a lasting emotional attachment while caring for the environment and cherishing limited resources, and thus Genten was established in 1999. When we first launched Genten, everyone was filled with feelings of exhilaration at greeting a new century, and it was an era that was the zenith of mass production and mass consumption. However, as the Chairman of Kuipo witnessed the pollutions problems and destruction of nature that were occurring, he felt that we could not continue as we were in the next century, and that the earth would not improve unless we returned to our roots and people changed their lifestyles little by little. This sentiment was infused into the Genten brand. – How is the corporate philosophy reflected in the Genten brand? We emphasize using as little resources that are drying up, such as oil, as possible, and make it a point to use only natural materials down to the last detail. Most manufacturers in the handbag market use tanning with chromium compounds that are heavy chemical metals that may cause water and soil contamination. For Genten, we mostly use vegetable-tanned leather. For the thread as well, most manufacturers use oil derived thread called vinymo, but we use natural fibers such as hemp and cotton for Genten. For the hardware, we mostly use materials such as iron, brass, and other materials that return to the earth. For the glue, we use protein extracted from tapioca. – What are the differences between chrome-tanned and vegetable-tanned leather? Chrome-tanned leather deteriorates with time, while vegetable-tanned leather does not deteriorate, and instead acquires a patina over time that is a special characteristic. The lifetime of a product changes depending on whether it deteriorates with time or develops a patina over time. Creating products that you can no longer use in a short time is a waste of limited resources and does not lead to the development of a lasting attachment to a product that is kept forever. Products that continue to develop a patina inspire the owner to care for it and want to use it for a long time. We also provide full after-sales service to encourage that sentiment. Creating an attachment to objects. That is what we most want to convey to customers. – Is cost or efficiency the reason that chrome-tanning is the most common method? Leather products were mostly vegetable-tanned in the beginning. However, during the two world wars, massive amounts of leather were needed to make shoes for German and American soldiers. It is said that this is when we saw rapid development in technologies for chrome-tanning that could achieve mass production in fewer days. – So, this new efficient technology caused the existing technologies to fall into disuse in less than 100 years? Despite the fact that vegetable-tanning methods had been preserved by our ancestors for hundreds of years, chrome-tanning took over in very little time. In this manner, the traditional technologies became obsolete, the number of craftspersons who could perform the technologies decreased, and we began to see fewer and fewer products with a true leather patina. Seeing this, the Genuine Italian Vegetable Tanned Leather Consortium started a movement to preserve the traditional production methods. When launching Genten, the chairperson of the Consortium agreed with the brand concept and began supplying us with leather. – So, Genten’s continued use of vegetable-tanned leather embodies the desire to maintain the technologies we have been using since long ago. We want to cherish not only the environment, but also culture and tradition. At the Kuipo Museum in the Tokyo Ichigaya Headquarters, we have about 300 antique bags from the Edo, Meiji, and Taisho periods. These bags, called “Fukuromono”, include items such as hakoseko (a type of ornament for Japanese-style clothing that was used by women as a purse) and tobacco pouches, and are considered the origin of handbags in Japan. Kinkarakawa (thin leather with gold patterns) that came to Japan through trade with Spain and Portugal is said to have disappeared from circulation in the world and bags that use the detailed lacquer method are kept here in the hopes of showing the next generation. – What are the plans for the future? We hope to further deepen each category of food, clothing, and shelter. For example, concerning fashion, we are working on developing new materials and technologies under industry-academic-government collaboration, exploiting the areas of specialization of each enterprise. Genten strives to achieve the universal desire of humankind to live a rich life with human dignity while preserving the environment. We hope to work together with partners in various fields with the same aspirations. – The Ginza shop creates a tangible form of the belief in rich food, clothing, and shelter of the Genten brand with a space that contains a single long display table, large, expansive window, and an organic food restaurant, for example. At the Ginza shop, we receive many, many customers with a profound knowledge of history and traditional culture. We hope to continue delivering products that will satisfy such customers. See here for more information. General Manager of the MD General Headquarters, Genten Business Division, Kuipo Co., Ltd. Joined Kuipo Co., Ltd. in 1997. Worked in the Sales Promotion Division. Participated in launching the Genten brand while being in charge of advertising, sales promotion, and shop design. Managed promotion, marketing, and shop development of Genten from 1999. Became the General Manager of the MD General Headquarters in the Genten Business Division in 2014. Alterna consultant Offered services in marketing, communication, business strategy and new business development activities for foreign-affiliated IT companies, advertising agencies, and public relations firms. After going independent in 2008, Sugiyama now participates in educational projects for solving social challenges, assists cooperative alliances between companies and NPOs, and offers consulting for CSR activities and practical assistance. Ginza×CSR・CSV Vol.6 Chuetsu Pulp & Paper Co.